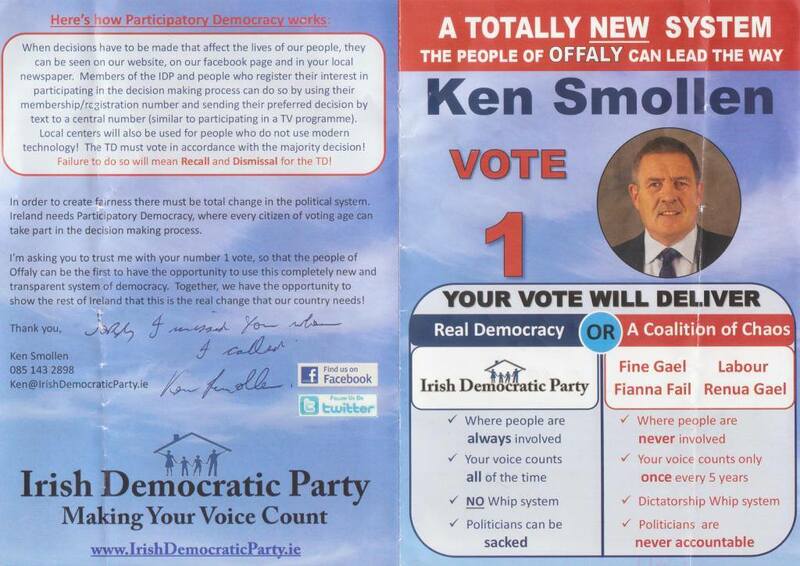 A leaflet from Ken Smollen of The Irish Democratic Party who is running in Offaly. Ireland’s newest centrist political party, The Irish Democratic Party, invites you to “Rebuilding Your Republic” – our first public meeting which will take place on Tuesday, 16 November 2010 at 8pm in The Church Bar, Mary Street, Dublin 1. I was contacted by The Irish Democratic Party (IDP) with the below “Open Letter to the citizens of Ireland”. Over the last two years the Irish public has witnessed the crushing deficit of leadership amongst our political representatives, and the flagrant disregard their actions have had for the common good of all our people. We, a group of ordinary concerned citizens, have now come together and wish to offer the people of Ireland the opportunity for real change. We are the Irish Democratic Party. We are looking for new members to help us firmly establish this movement and directly challenge those who claim to represent us. If you believe in a fairer and more open society in Ireland, accountable at a national, regional and municipal level, then join us today and help Rebuild Your Republic. 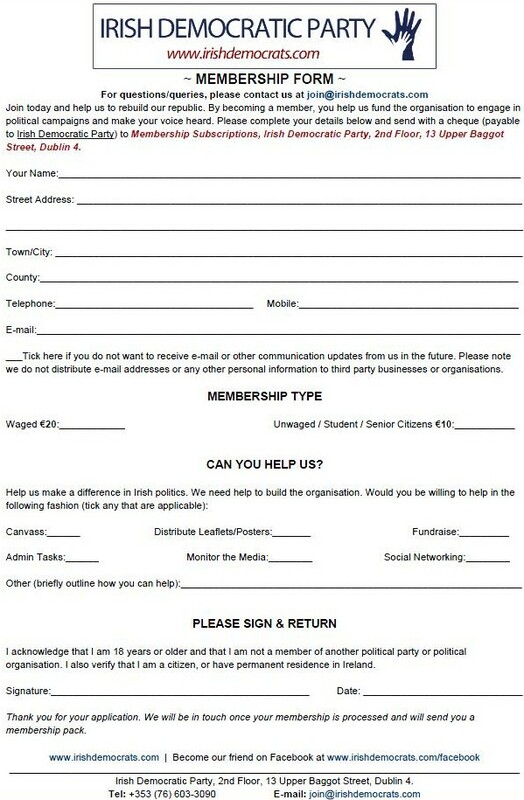 A membership form for the newly founded Irish Democratic Party.